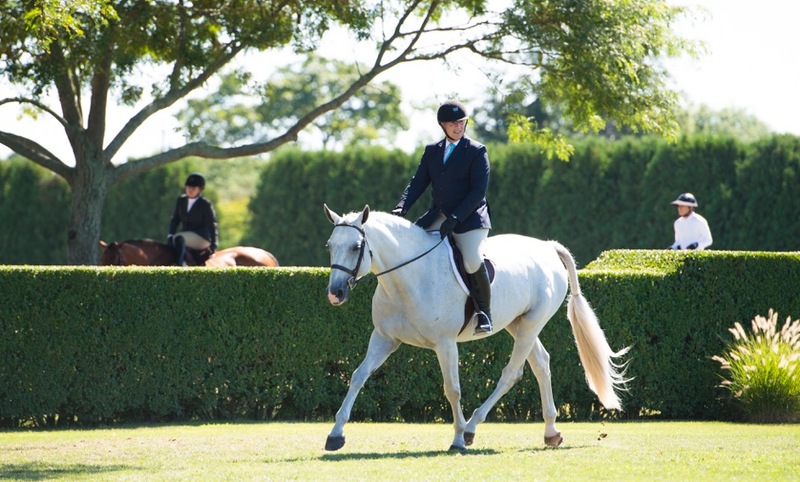 Glen competing at the Hampton Classic. 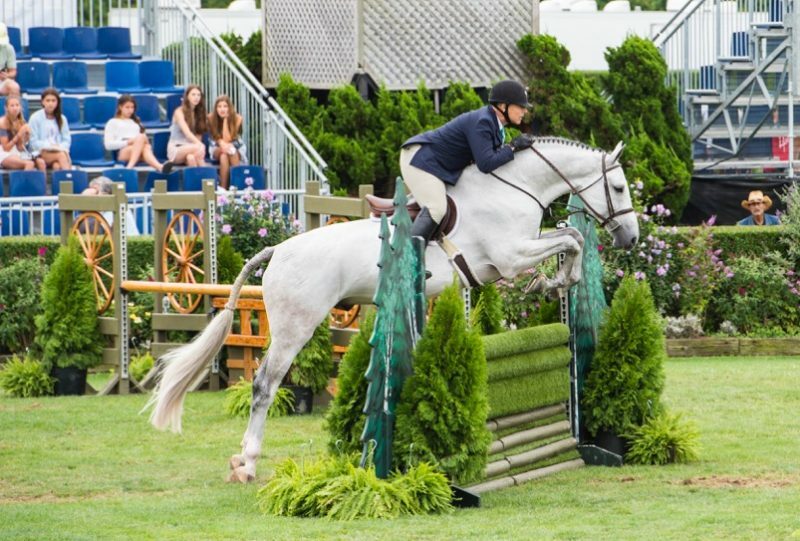 As a junior, Glen noted that two horses stand out as great. One was Union Jack, whom he retired. 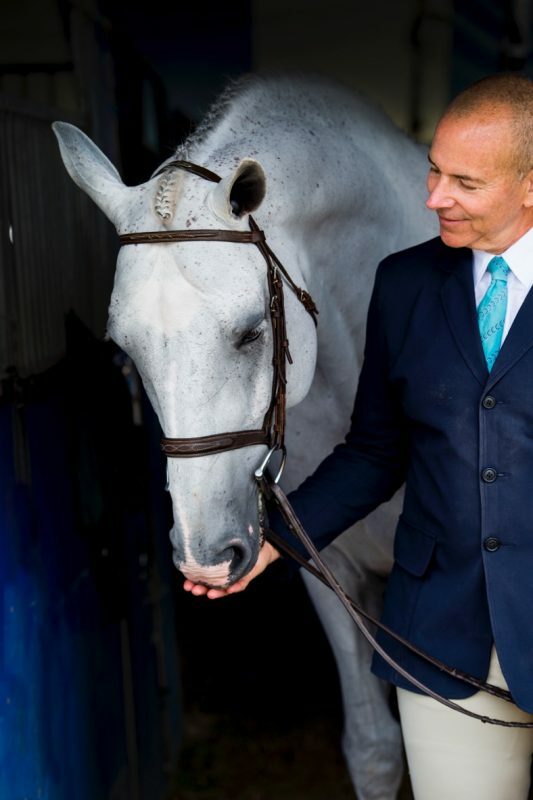 The other one, Happy Jack, renamed Tap The Till, went on to partner with Susie Shapiro, wife of Olympic show jumping medalist Neil Shapiro, before competing successfully for another decade on the West Coast. As Glen’s passion for horses enjoyed a renaissance, his involvement went far beyond his promise to stick to just one show hunter. 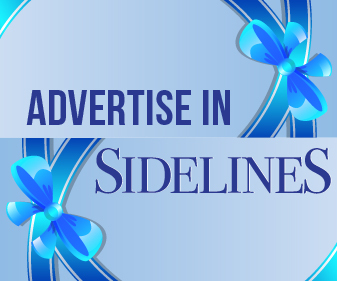 His stable grew by leaps and bounds, alongside his aptitude for branding. When Glen moved to Urban Outfitters, its subsidiary Anthropologie was a single store “prototype” located in Philadelphia that he grew into a wildly successful global chain. “It was a labor of love, very creative,” said Glen. 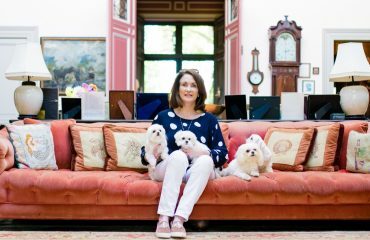 “We had about 8,000 employees and I still speak with many of them. We were building something from nothing, doing it in a very honest and creative way. It was profitable with integrity. It was joyful, fun, fulfilling work. After building Anthropologie, I assumed responsibility for the entire Urban Outfitters corporation, which was very different. I also loved the Urban Outfitters brand — youthful and counterculture — as much as I loved Anthropologie. Glen aboard Declaration — a horse Glen could always count on. Declaration is now retired. His résumé reads like a Who’s Who of retail, but his undergraduate degree in computer science gave him the edge. Glen ended up running Bloomingdale’s By Mail after he started at Bloomingdale’s, because he was the only one who understood the database. He also worked for Habitat, Williams-Sonoma (including the brands Williams-Sonoma, Pottery Barn, Hold Everything, Chambers and Gardener’s Eden), URBN (Anthropologie, Urban Outfitters, Free People, BHLDN and Terrain), and David Yurman. He admits having the good fortune to serve on the board of directors for Cooking.com, Bare Escentuals, Tory Burch, Melissa & Doug, and Aritzia, in addition to URBN, David Yurman and Opening Ceremony. About 15 years ago, via a directorship he had with Bare Escentuals, Glen became acquainted with Berkshire Partners, a private equity firm. That relationship planted an idea that led to Glen starting Front Row Partners whose mission would be investing in growth companies and giving him the opportunity to apply his own business acumen and experience as mentor. While Glen doesn’t show his horses hard or often, he still manages to impress the judges. Part of that is due to his compassion and love for horses, and part of it is his early childhood training with George. He’s quick to credit much of his current success to Scott Stewart and Ken Berkley. Glen’s love for his horses is evident each time he enters the ring. 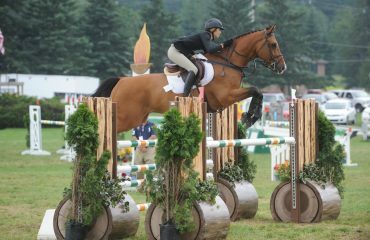 Glen’s biggest winners include Declaration, Dedication, Highland Park and Loyalty — all Show Hunter Hall of Fame horses. His Beholden was champion or reserve every time he showed as a Green Conformation Hunter. 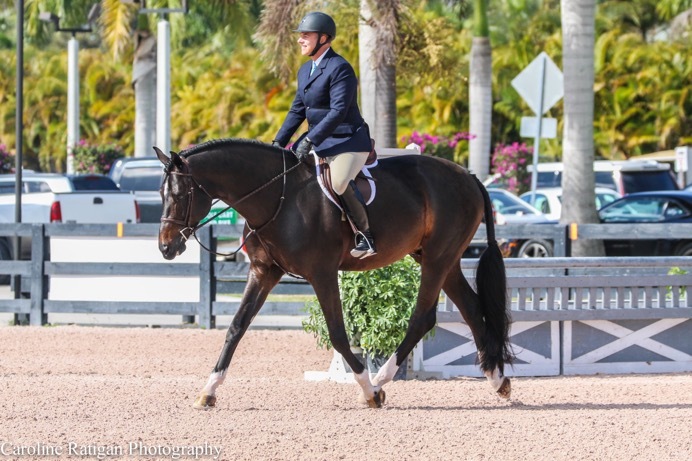 Seven of Glen’s horses are WEF circuit champions, and several have been champion and grand champion at Indoors and Devon, as well as USEF Horse of the Year. 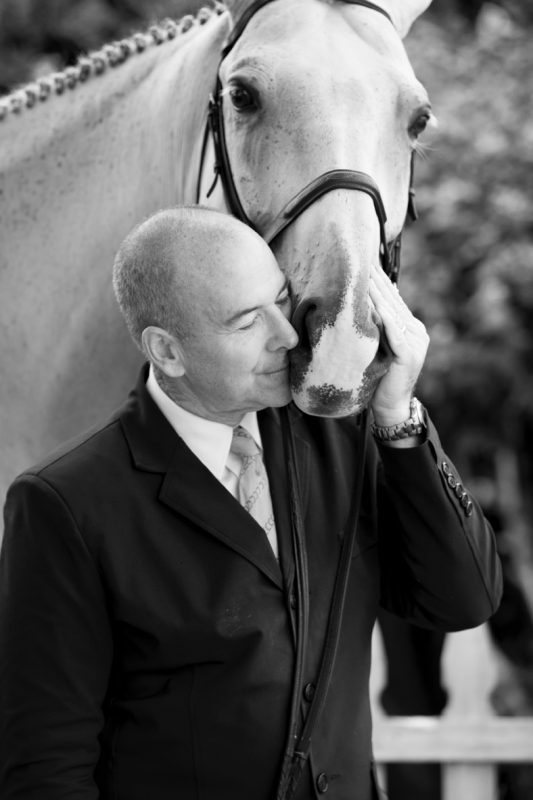 Glen enjoys a moment with Loyalty, a horse that will forever have Glen’s heart. 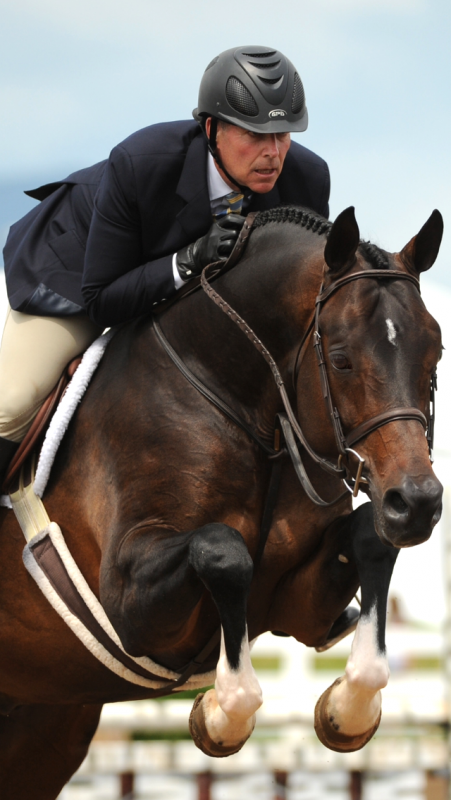 One perfect example of Glen’s “type” is Declaration, who showed for eight years, winning show after show, year after year, from the Grand Hunter Championship at Washington International as a First Year Horse to multiple derbies to the Regular Conformation Horse of the Year Award to numerous WEF circuit championships, right up to winning the Amateur Owner Stake at Devon in his very last competition. “Declaration was the horse both Scott and I could always rely on — that horse never complained. He always knew when it was important. He always took care of his owner,” said Glen. 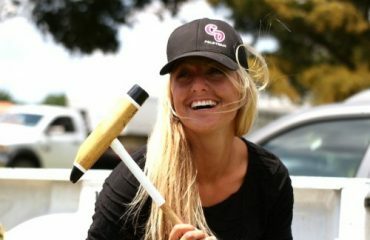 “I’ve been wildly fortunate to have some really special horses. Each one has had a distinct personality, and I love them all as if they were my children, but I love some of them more than others.